There is nothing like sleeping in the rain. And rain has not failed to fall for me. 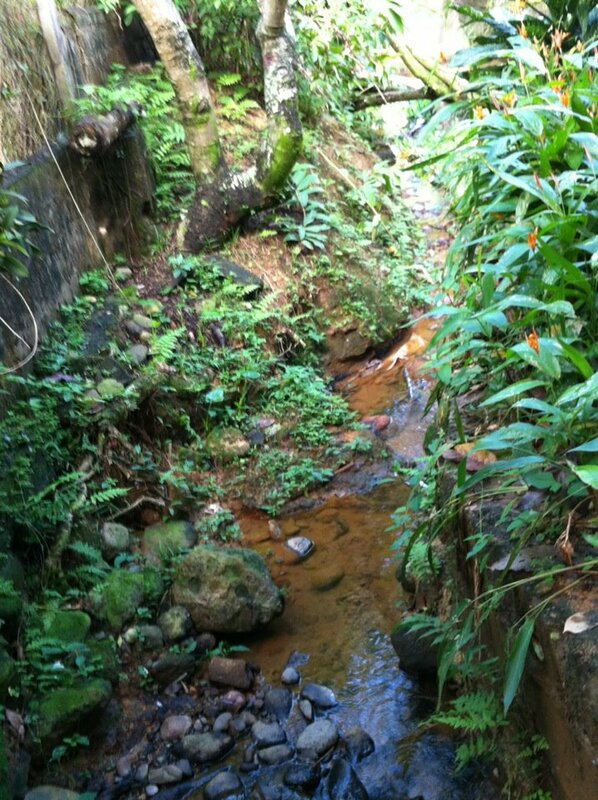 Every time I lay my head down in Honduras to rest the rain meets the gurgle of the stream outside the window and makes for a beautiful sleep. The windows are louvered and allow a fresh breeze in to sweeten the night and the stream is blood-red with the drain of the earth into it. Always there is the sound of water. Yesterday I bought two works of art to hang in my home. One was a metal-worked thicket of leaves for my porch. The other was a cross also of metal. It is beautifully woven and will be put in a place of prominence in my home to remind me of my Father’s love. Tonight the cross is wrapped for my journey home, tight in cardboard and masking tape. But there are reminders everywhere. The constant flow of water is music calling to mind the only never-ending grace. No matter what I have done in my day, no matter where I have gone, how I have felt and what I have said His grace meets me like rainfall when I lay my head down to rest. Isn’t it strange how it is the imperfect among us who forgive with the most difficulty? It is also very amazing to find that imperfection in myself and feel grace rise to meet it. I am forgiven – not necessarily by men and women around me and not necessarily by myself, but by the only person whose opinion is worth anything at all. I am loved best of all by my God. This entry was posted in Bushlings Wisdom and tagged forgiveness, Honduras, La Ceiba, prayer, Rain, river, stream, travel by Nikki. Bookmark the permalink.